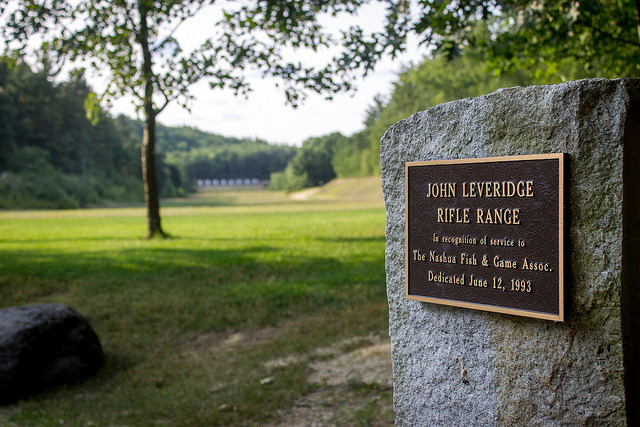 Many types of shooting occur on the Leveridge Range, including clinics, matches, orgainized and individual practices. 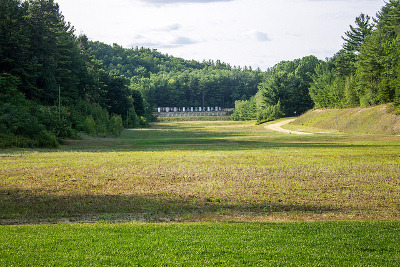 With one of few 600 yard ranges in the Northeast the Leveridge Range is key feature of the NFGA. Some example activities and events are shown below please see the NFGA High Power Schedule on the High Power Rifle page for full details. No Equipment or Experience required. Classroom & Range instruction. Live fire at 200 yards swith one-on-one coaching instruction available. Includes ammo and loaner equipment to use if needed. Students can bring own rifle/ammo if approved. two 10 round 70 seconds prone rapid @ 300 yds. These Matches will be an NRA Approved League. Scores will go to NRA at the end of the league / season. Coaching and newer Shooter assistance is allowed. 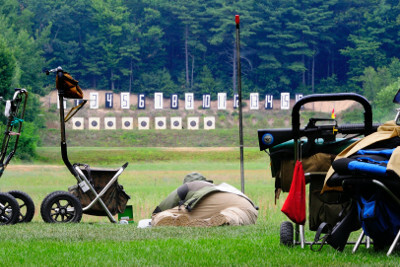 These Matches are excellent for new shooters or shooters that have not shot 600 yards yet. Individual NRA Approved matches with scores reported to NRA after each match for NRA Classification. Firing at 300, 500 & 600 yards. Unlimited Sighters and 15 rounds for record at each yard line in 20 Minutes. These Matches are an NRA Approved League. Scores will go to NRA at the end of the league / season. Any NRA Approved Match, Open or F-Class Rifle that also conforms to NFGA Range Rules. These Matches are an NRA Approved League. Scores will go to NRA at the end of the league / season. Military Vintage / Garand / Springfield – 50 ro0und NMC 200 yards at paper targets. Any/All range safe rifles are welcome. The Matches are held every Monday from the first of May through the end of September, 9am to 12 noon. The course of fire is 20 rounds .22 LR and 10 rd. center-fire off hand with optional sighters. Two classes, offhand and offhand stick. No shooting jackets or slings allowed. Required rifles .22 LR any action, centerfire single shot (preferred) or bolt, scope or iron sights. Two Relays. Squadding closes 15 minutes prior to Scheduled Start Times. Each shooter will shoot and pull targets for another shooter.